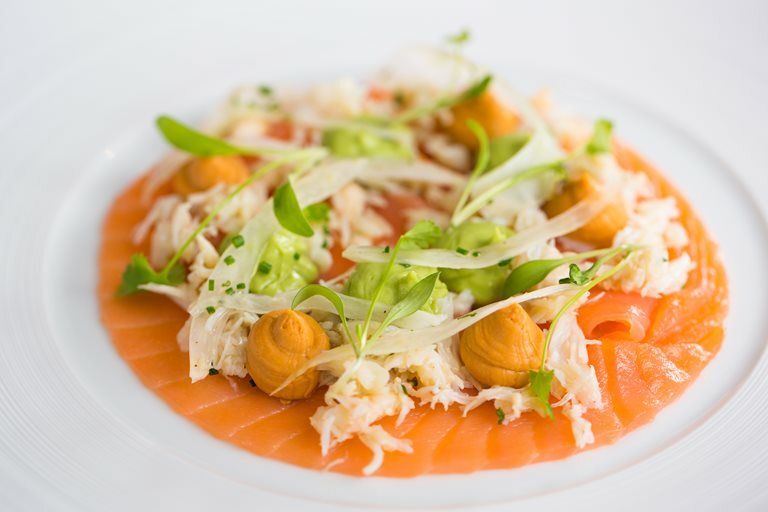 Steve Smith's smoked salmon with crab recipe blends all of the delights of a classic crab salad with some careful and elegant plating. Dotted amongst the mounds of apple-laced white crab meat, are bursts of brown meat mayonnaise, flavoured with Tabasco for a little heat. Make sure you use only the ripest of avocados for the purée to achieve a silky-smooth texture.